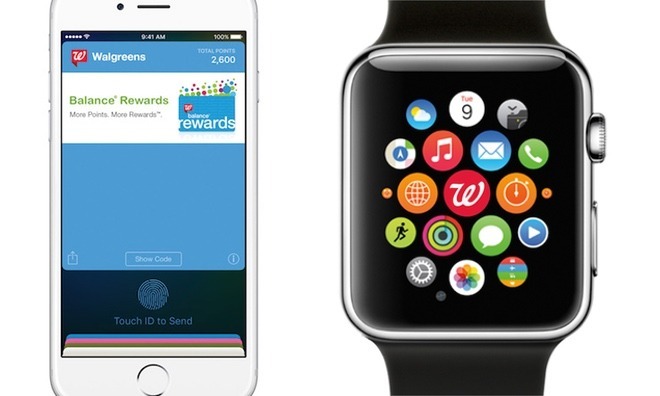 Members of the Walgreens loyalty program can now use their Balance Rewards card with Apple Pay, enabling tap-to-pay capabilities on both iPhone and Apple Watch. Walgreens announced on Thursday that it is the first retailer to integrate its loyalty program with Apple Pay contactless payments. There are more than 85 million active Balance Rewards members. To add your card, use the Wallet app in iOS 9. Once it's activated, users can authorize their transaction with a fingerprint scan on the iPhone 6 or iPhone 6s series. Apple Pay integration is also available with an unlocked Apple Watch by double pressing the side button. As of August of 2015, an estimated 76 percent of the population of the U.S. lives within five miles of a Walgreens. Its local pharmacies filled an estimated 894 million prescriptions in the company's fiscal year 2015. There are a total of 8,173 Walgreens locations in the U.S. as of Aug. 31. In New York City, Walgreens stores are branded as Duane Reade, where Balance Rewards cards can also be used.